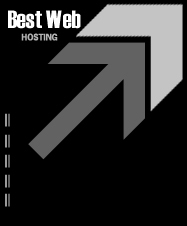 Best Web Hosting's Advanced plan is the perfect choice for Web Sites that require substantial Web space and bandwidth. All common scripting and database platforms are fully supported. You get 500 Email addresses and FrontPage support. A terrific plan for most Web Sites! Advanced X2 is a powerful upgrade to our Advanced plan. Bandwidth up to 5000GB per month and Disk Space increased significantly. Many features normally available on only more expensive plans. If your website needs more power, this is the right plan for you. Best Web Hosting's VPS (Virtual Private Server) solution provides a logical upgrade path for customers looking for advanced hosting solutions on a dedicated system. Each VPS is fully segmented from other VPS servers on the same hardware system, preventing any possible problems with resource distribution. If you require a fully managed server solution, then a VPS is the right choice for you.